The best way to get to know a community is by scheduling a tour. See the facilities, meet the staff and residents, and get a feel first hand what it's like to live at Terrebonne Place Assisted Living. Terrebonne Place is just one of the many properties managed by Enlivant. An operator of more than 200 senior living residences, the goal of Enlivant is to enhance seniors' lives by providing them with a homelike setting that encourages independence. 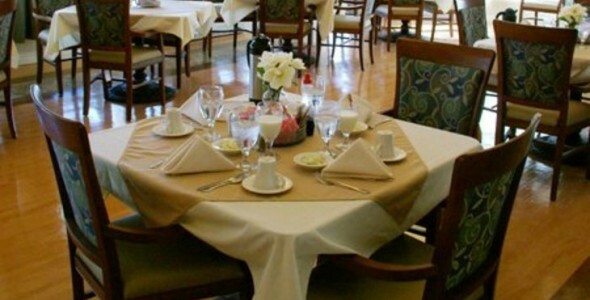 Terrebonne Place offers a wide variety of convenient amenities, including restaurant-style meals served three times a day in our community dining room. Our studio and one-bedroom apartments feature kitchenettes, which add to the right-at-home feel of our community. Our computer station with Internet access provides a way for residents to communicate with friends and family using the latest technology. Terrebonne Place also has a great TV room where seniors can watch movies, a lovely courtyard and an activity room for arts, crafts, and special projects. We also have a barber and beauty salon on site, which is helpful for our residents who want to look their best. For added convenience, residents of our community experience easy access to on-site laundry, regularly scheduled apartment maintenance, housekeeping and scheduled transportation services. Our transitional stay program is another service that is very helpful. If you have a family member or loved one that is recovering from an accident or surgery, or if there is someone in your family that is dealing with an illness and is in need of some extra care, this program offers temporary accommodations to promote a speedy recovery. Terrebonne Place offers a unique experience for Houma seniors seeking assisted living.